The Monday Musings #1 - TV in the Internet Age - A look at "Netflix," "Hulu," and "HBO GO"
Today, I’m debuting a new weekly column - The Monday Musings. Sometimes, I want to write about topics that don’t fit into neatly definable categories like “movie review” or “TV blog,” and I have such a vast back catalogue of these topics that I thought it might be fun to turn them into a weekly feature. Every Monday there will be a new column where I discuss whatever’s on my mind, usually related to film, TV, music, or general entertainment trends, but sometimes not. We’re starting The Monday Musings with a look at how the internet has recently changed my TV habits, focusing on streaming services such as Netflix and Hulu. Enjoy, and come back next week for another article full of musings. 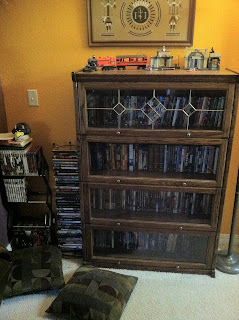 For the last decade, I’ve been an avid collector of DVDs (and, later, Blu-Ray Discs). I’ve spent plenty of time organizing that massive collection you see on the right, and I’ve got many more discs in other parts of my house. As a film and TV aficionado, it’s practically an impulse at this point to buy the movies and shows I love on disc when they are released (and to arrange them in a handsome alphabetical order, of course). Yet when I move away to College later this month, I don’t plan on bringing a dedicated DVD player with me, let alone Blu-Ray, and all of those discs are staying at home. Part of this is the fact that CU Boulder is half-an-hour from my house, so going home to pop in a Blu-Ray isn’t exactly difficult, but more importantly, it’s because the wonders of the internet have made it very easy for me to leave my DVD library behind, not to mention cable or satellite service, and never have to worry about entertainment. Over the summer, I’ve experimented with all the options for watching TV and film via the internet, rather than disc, and I’m amazed at how far the internet has come in closing the gap between streaming via the web and using a cable box or DVD. Coming from someone whose disc-buying habits have been called “insane,” “ridiculous,” and “fanatical,” that should mean quite a lot. Three programs in particular have changed the way I’m watching TV and movies - Netflix, Hulu, and one of my personal favorites, HBO GO. All three offer such a wealth of material that it’s possible to imagine someone limiting themselves to just these programs and finding enough entertainment to last a lifetime. Given the title of this blog, it may surprise you to know that I’m actually a bigger fan of TV than movies, but except in very special situations, I more or less abhor watching TV on the network’s weekly schedule. I think we’re past that point in the history of the industry, and I gave up on a lot of my favorite shows, like The Office, or failed to get into promising newcomers like Parks and Recreation, because sitting down at a specific time each week to watch programs bloated with commercials just didn’t gel with my schedule. If you’re willing to wait, these shows can always be purchased on DVD later on, but if you watch a lot of shows, that can be a pricey alternative. DVR systems can also address the problem to a point, but thanks to the three programs I mentioned above, even the DVR has become obsolete. Let’s start with the big one - Netflix. The Netflix streaming service has been revolutionary, both for its ease of use and the depth of its catalogue, and the service has only gotten more robust over time. I can access Netflix more or less anywhere I go; at my house, I can view it over our main TV via the Xbox 360, PS3, or Wii; when I’m working on my MacBook Pro, I can bring it up in Safari; there’s a Netflix app for my iPad and iPhone that runs flawlessly, and Nintendo even brought Netflix to their 3DS handheld console earlier this month! If Netflix has something I want to watch, I can literally watch it anywhere, and that right there gives it a big leg up on DVD. I can’t take my DVD collection with me on a road trip, to the Doctor’s office, or to the back-row of a boring class (just kidding! ), but I can bring the entire Netflix streaming library, which simply gets bigger and better every day. It also helps that Netflix has overcome one of their biggest hurdles that stopped me from fully enjoying the service in the past, and that’s video quality. 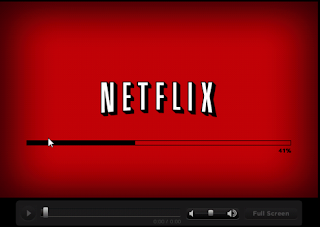 In its early days, one had to have a truly powerful internet connection to get content in DVD-level quality, let alone HD, but now, Netflix looks great in most situations. Unless I’m in the car streaming over my iPhone’s 3G service, I’m guaranteed DVD-level picture quality, and most Netflix titles are also offered in HD if the connection is strong enough. At my house, we always get HD from Netflix, even though our connection isn’t particularly robust, and I’ve been shocked at how good the HD quality looks. For TV shows, I can’t detect a difference between Netflix’s HD and a Blu-Ray Disc, which is especially good news for the many programs that are only released on DVD, like NBC’s terrific Parks and Recreation. The show airs in high-definition, but has only been given a standard-def treatment on disc, meaning that Netflix streaming actually gives you the best-looking version of the show available! Movies aren’t quite as good - I’ve found the Blu-Ray usually wins for films - but that shouldn’t be a knock against Netflix. To me, HD was the missing link in the Netflix puzzle, and I didn’t start using the service in earnest until the video quality began rivaling my disc-based library. In terms of content, I’m continually floored by how many good things the service has to offer. They don’t get new material right when it hits DVD, this is true (although TV seasons often go up in conjunction with their DVD counterparts), but I’ve found plenty to tide me over while waiting for the new content to hit. I mostly use Netflix for TV shows, which is where the service excels the most. There’s a miraculously strong BBC presence, and for American TV, NBC-Universal and Fox probably tie for the win, though ABC and WB have a fair amount of content as well, and more is added every day. Just last month we got every episode of four different Star Trek series - the original, The Next Generation, Voyager, and Enterprise; as I understand it, Deep Space Nine isn’t far behind. I’ve been dying to watch Next Generation lately, but couldn’t afford the DVDs. Putting all 177 episodes in one handy streaming service is a much better solution. Thanks to a deal with Starz channel, Netflix also expands its movie offerings every day, and I think any person could find something they like whenever they boot up the program. The most attractive thing about Netflix may be the price - at $7.99 a month, it’s hard to say no; the portability of the program alone is worth the price of admission. There was some controversy last month when Netflix did away with their $9.99 streaming + DVD plan in favor of separate DVD and streaming plans, both priced at $7.99, but I can’t imagine the furor being that great. I haven’t conducted a scientific study or anything, but everyone I know who uses Netflix ditched the disc-based part of the service as soon as Netflix allowed them to, and this price change makes no influence on them, or on me. Netflix has been rapidly moving away from their disc-rental component, and for good reason, too; in this day and age, renting movies on a disc makes very little sense. Netflix streaming doesn’t always get the new movies, but one can always rent new films on iTunes, Amazon, Xbox, PS3, etc., without having to wait for a disc. At this point, I think DVDs and Blu-Rays only really exist for purchasing; someone renting the film won’t care about the bonus features or even necessarily the picture quality, so downloading or streaming makes more sense. 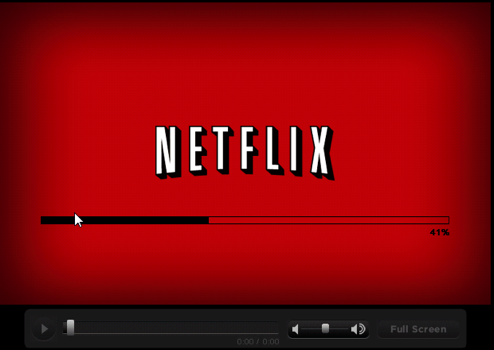 At this point, Netflix’s business model is becoming more like cable or satellite, and rightfully so, I should think. Just as one pays for their cable or satellite service each month, customers pay Netflix a flat fee to access all available content, and this is where Netflix beats cable, at least for me: I can watch what’s on Netflix whenever I want, wherever I want, without having to worry about when the show or film is “on.” It’s also significantly cheaper, and with better picture quality than Comcast will ever deliver. That’s why I love Netflix, and that’s why people are adopting it in droves. As the most robust streaming service out there, Netflix has become the “hub” of all my internet-based entertainment, but though I use it primarily for TV shows I’ve never had the chance to see, I can’t use it to watch new episodes as they are released. 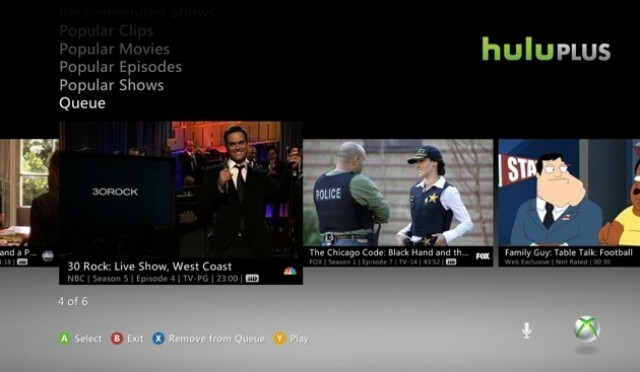 That’s where Hulu comes in; this service is imperfect, but when it comes to watching new TV shows, it gets the job done. Hulu is ad-supported, which makes sense - networks can’t just give away their brand-new material for free - and until recently, it was only available on the computer. Now, however, Hulu has a new program called Hulu Plus, which allows you to watch Hulu in all the places you’d watch Netflix - Xbox, PS3, iPad, iPhone, Android Phones, etc. Hulu Plus also costs $7.99 a month, and though there are some major drawbacks to the service - it’s still ad-supported, not all content is available on all devices, etc. - the positives outweigh the negative. Over Plus, one can stream most content in HD, and every episode of the most recent season of many TV shows is available to subscribers to watch anywhere. I’m going to use that feature to watch the third season of Parks and Recreation once I finish off the second year via Netflix, and I’ll also be catching up on the seventh season of The Office. But Hulu is most valuable for watching new episodes as they are released. Hulu can’t put up the episode the night it airs, but they do put up episodes promptly the next morning, and unless you have a burning desire to watch your show the moment it airs, Hulu is a good way to make TV work around your schedule. There are ads, but only two or three short commercials at most, and like Netflix, their HD streaming offers far better picture than cable or satellite. I’m a huge fan of The Daily Show and The Colbert Report, and Hulu will allow me to continue to follow these programs in college, as well as many other shows, such as NBC Thursday comedies like Parks and Rec, The Office, and 30 Rock. Hulu doesn’t have the same wide variety as Netflix, but it does have much of the content I personally enjoy, and since this service is available, it makes it easier for me to keep up with some of my favorite programs while I’m away from home. For those growing weary of paying cable or satellite bills, Hulu and Netflix are both programs worth looking into; combined, they cost $16, and at that price you could feasibly leave cable behind with few regrets, while saving quite a bit of money in the process. Ah, but what about the best your cable might have to offer - premium channels like HBO that continue to deliver some of the absolute best shows on TV? That’s where HBO GO comes in, although you won’t be able to leave behind your cable subscription entirely if you plan to use it. HBO GO is free to HBO subscribers, and offers every single episode of every single TV program the network has ever produced. That, my friends, is mind-blowing, and they offer quite a few movies as well. It doesn’t have the same functionality as Netflix or Hulu - you can’t get it on the TV - but you can watch it on any computer, the iPad, the iPhone, or an Android phone. A few years ago, this might have bugged me, but computer screens get better all the time; I’m perfectly happy watching TV on my MacBook Pro, not to mention the iPad. I’ve used HBO GO a lot recently; I was very excited to see the new series Game of Thrones when it premiered earlier this year, but once again, working around a rigid TV schedule didn’t work for me. Instead, I recently watched the entire first season in a few days via HBO GO, and I plan to catch up on plenty of other HBO dramas I’ve never had the chance to see, like The Sopranos or Deadwood, in the coming months - and saving a lot of money I’d otherwise have to spend on DVD sets in the process. Furthermore, when new episodes of continuing series, like the popular True Blood, air, they premiere on HBO GO shortly thereafter. That’s a big plus for me; I’m very excited for the upcoming second season of Boardwalk Empire, but without HBO GO, I wouldn’t get to see it, unless I went to my parents’ house every Sunday night. The video quality is very good - not quite on par with Netflix, but still in HD and better even than DVD. 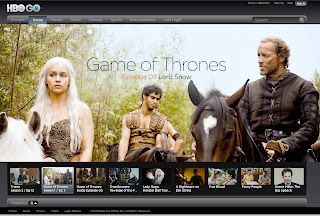 Plus, HBO GO is only in its infancy - imagine where it will go from here. For now, it’s a great service that allows viewers to ditch their HBO DVD sets - or never have to pay outrageous prices for them in the first place - while simultaneously staying up-to-date on new programs. Now, you can’t ditch your cable service and use HBO GO - you still need an HBO subscription - but if you wish, you could comfortably ditch the HD surcharge companies like Comcast impose, go for the most basic package, and enjoy what Netflix, Hulu, and GO have to offer instead. GO has become so popular recently that I assume HBO will open it up to non-subscribers one day, for a flat fee like Netflix or Hulu, and then cable and satellite really will be obsolete. There are, of course, holes if you want your entertainment hub stationed on the internet. One of my favorite shows, for instance, is NBC’s Community, which isn’t available on Netflix, and Hulu only puts up the latest one or two episodes while restricting viewing to the computer. iTunes is always an option at that point, although a season pass for an HD show can cost upwards of $50, which is rather frightening. For Community, I’ll just wait for the second season DVD to get caught up, and this won’t interrupt my college plans; I can still watch a DVD in my Xbox or MacBook Pro, after all. There’s always an option if you want TV to work around your schedule - in the internet age, there’s absolutely no reason why we should be restricted to the network’s schedule. I really am amazed at what I’ve discovered watching TV via the internet this summer; it’s ridiculously easy, and cost-effective, to make the internet your entertainment hub, rather than a bookshelf full of discs. I don’t want DVD and Blu-Ray to go away - some shows simply can’t be found on any of these services, and films are usually worth buying on Blu-Ray - but since most of these services work on Blu-Ray or DVD players, it’s easy to let your physical collection augment your digital library, rather than the other way around. These services get better all the time, and if Netflix ever goes the whole nine yards and adds Bonus Features, such as audio commentaries and making-of documentaries, to their streaming library, then I think we will see a day when there’s no reason not to let your entertainment live online.